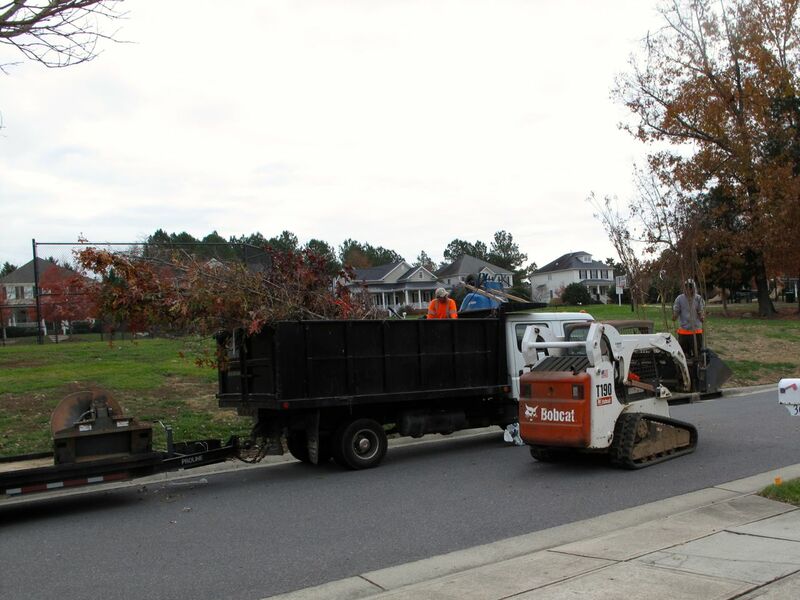 The recently announced Governors Park Tree Project was implemented today with the installation of trees in the common area of the Park that is encompassed by Village Park Drive. Five Crape Myrtles were planted next to the tennis court. (Click on image for larger view). This Willow Oak was planted next to the pool parking area. The White oaks (Quercus alba) have rich autumn foliage. They were planted in the South Grove below Meadow Park. 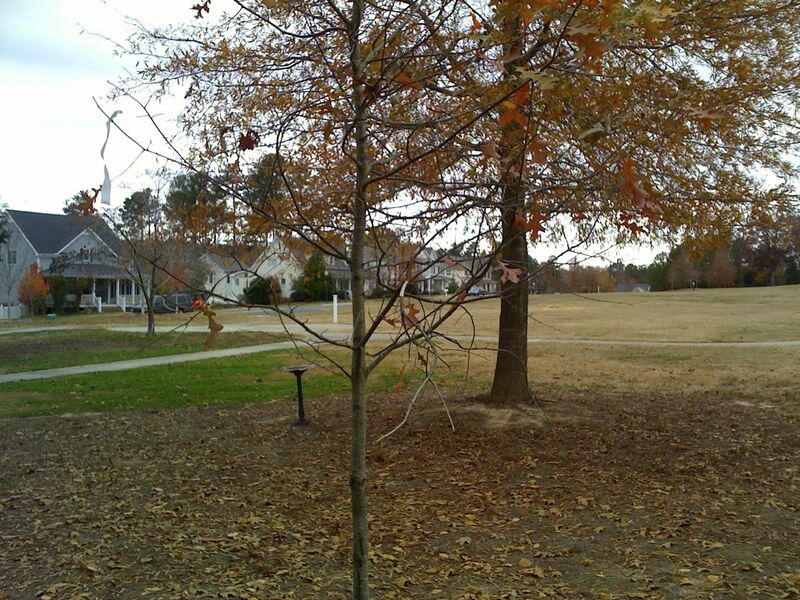 In the same area 3 Nuttall oaks (Quercus texans) were planted. 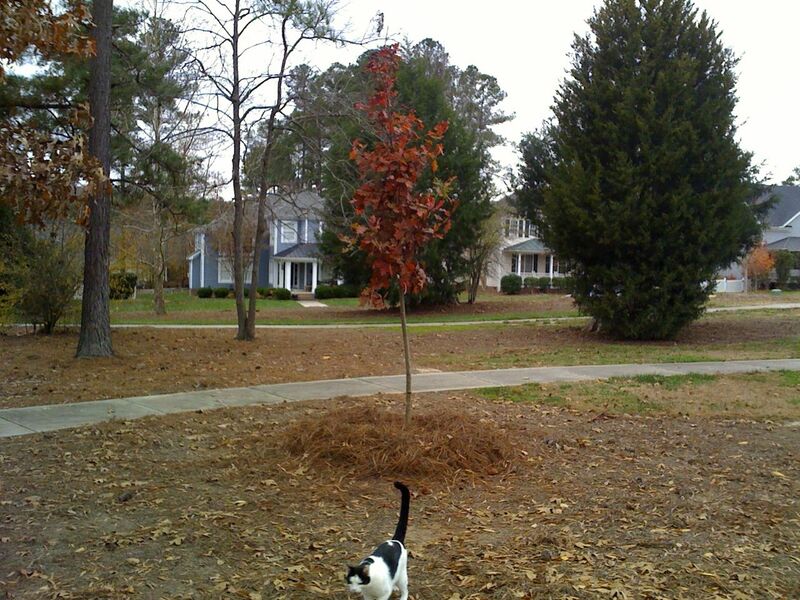 Nuttall oak (Quercus texans) in foreground. The plan called for 13 trees to be planted in all. Refer to the article below for a complete installation map. This entry was posted in gv Grounds, gv Photos and tagged governors park, Governors Park Tree Project, tree restoration project on November 22, 2013 by govvillage. 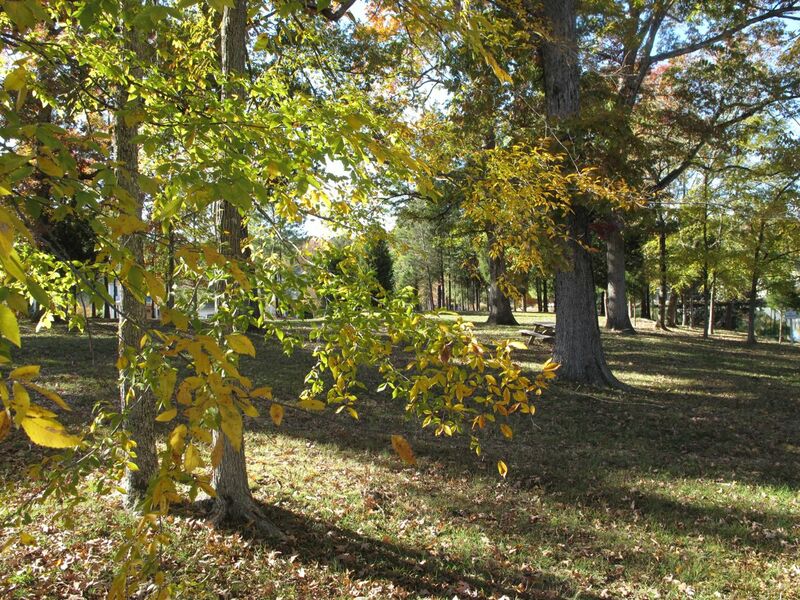 The wooded areas in our community provide shade, refuge for wildlife and add old-fashioned character and charm. Many Governors Park residents have been saddened to watch as some of the neighborhood’s majestic, venerable trees succumbed to disease and age over the years. Now a significant planting effort to restore the groves will get underway this week. Adam Zanation, chair of the Grounds Committee for Governors Park, has worked with Davenport Landscaping to develop a renovation plan. 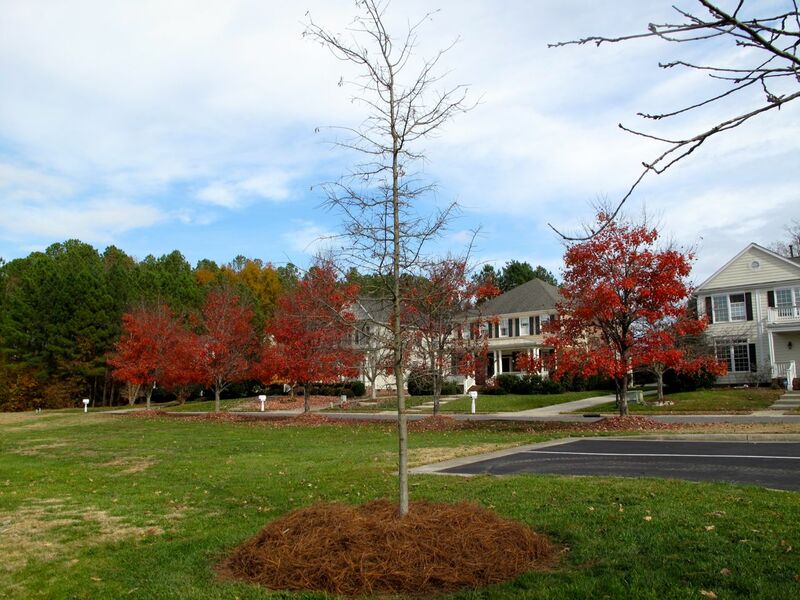 According to a consumer fact sheet from NC State University, both White oak (Quercus alba) and Willow oak (Quercus phellos) are native to North Carolina. 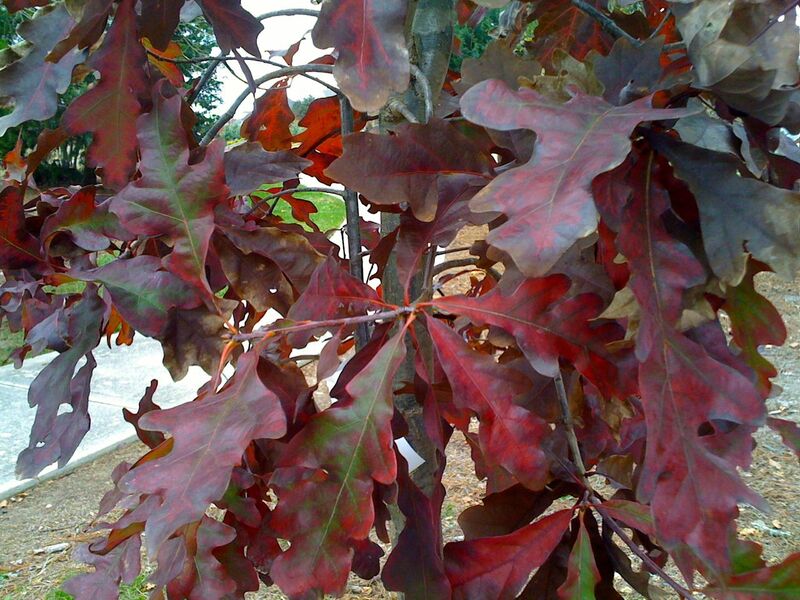 The Nuttall oak (Quercus texans, previously Quercus nutallii), which may be less known than the others, is a native tree of the American Southeast and Midwest. Southern Living garden writer Steve Bender praises the Nuttal oak as a great pyramidal-shaped shade tree. It features bright red leaf fall foliage and can adapt to a variety of growing conditions. 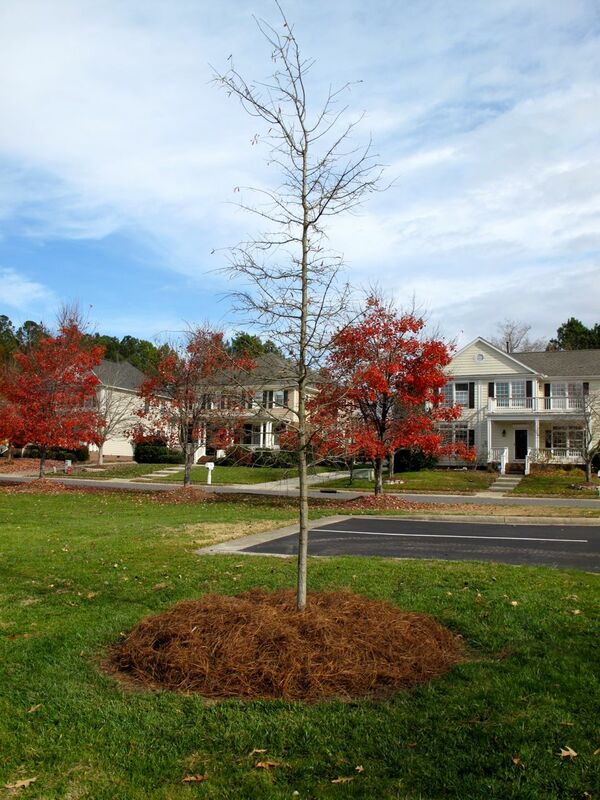 Indeed the Nutall oak is listed in another NC State University publication, “Qualifiers for Quagmires: Landscape Plants for Wet Sites,” as exceptionally tolerant of poorly drained landscaping sites. This entry was posted in gv Grounds, gv Photos and tagged governors park, tree restoration project on November 9, 2013 by govvillage.